June 16, 2018 Atlanta Braves activated RHP Julio Teheran. June 5, 2018 Atlanta Braves placed RHP Julio Teheran on the 10-day disabled list. Right thumb contusion. August 19, 2016 Atlanta Braves activated RHP Julio Teheran from the 15-day disabled list. August 14, 2016 Atlanta Braves sent RHP Julio Teheran on a rehab assignment to Gwinnett Braves. August 2, 2016 Atlanta Braves placed RHP Julio Teheran on the 15-day disabled list retroactive to July 31, 2016. Right lat strain. 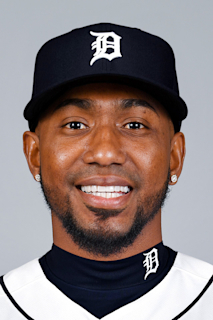 October 14, 2012 RHP Julio Teheran assigned to Tigres del Licey. October 7, 2012 Atlanta Braves activated RHP Julio Teheran. September 4, 2012 Atlanta Braves recalled Julio Teheran from Gwinnett Braves. June 11, 2012 Atlanta Braves optioned Julio Teheran to Gwinnett Braves. June 10, 2012 Atlanta Braves recalled Julio Teheran from Gwinnett Braves. April 2, 2012 Atlanta Braves optioned Julio Teheran to Gwinnett Braves. September 3, 2011 Atlanta Braves recalled Julio Teheran from Gwinnett Braves. May 19, 2011 Atlanta Braves optioned Julio Teheran to Gwinnett Braves. May 18, 2011 Atlanta Braves recalled Julio Teheran from Gwinnett Braves. May 18, 2011 Julio Teheran roster status changed by Atlanta Braves. May 8, 2011 Atlanta Braves optioned Julio Teheran to Gwinnett Braves. May 7, 2011 Atlanta Braves selected the contract of Julio Teheran from Gwinnett Braves. April 3, 2011 Julio Teheran assigned to Gwinnett Braves from Mississippi Braves. February 2, 2011 Atlanta Braves invited non-roster RHP Julio Teheran to spring training. July 23, 2010 Julio Teheran assigned to Mississippi Braves from Myrtle Beach Pelicans. May 14, 2010 Julio Teheran assigned to Myrtle Beach Pelicans from Rome Braves. August 4, 2009 Julio Teheran assigned to Rome Braves from Danville Braves.